from June 4 to June 8. JEREH is going to attend 14th INTERNATIONAL SHOW OF CONSTRUCTION EQUIPMENT AND TECHNOLOGIES(CTT) in Moscow, Russia from June 4 to June 8, 2013 and our booth number is 15-626. We warmly welcome all distinguished guests, customers, and friends to visit our booth. Jereh will launch the latest developed product Cat C15 cylinder head during this exhibition. 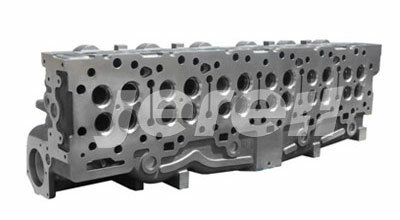 The material of the C15 head developed by JEREH is completely same as that of Cat OEM head. The big content of the alloy steel in the material ensure the excellent mechanical performance of the head, which can resist deformation under high pressure. The machining is done by advanced CNC machine, assuring the precision of all measurements. The production process follows the requirement of quality system TS16949 to strictly control the quality of product.